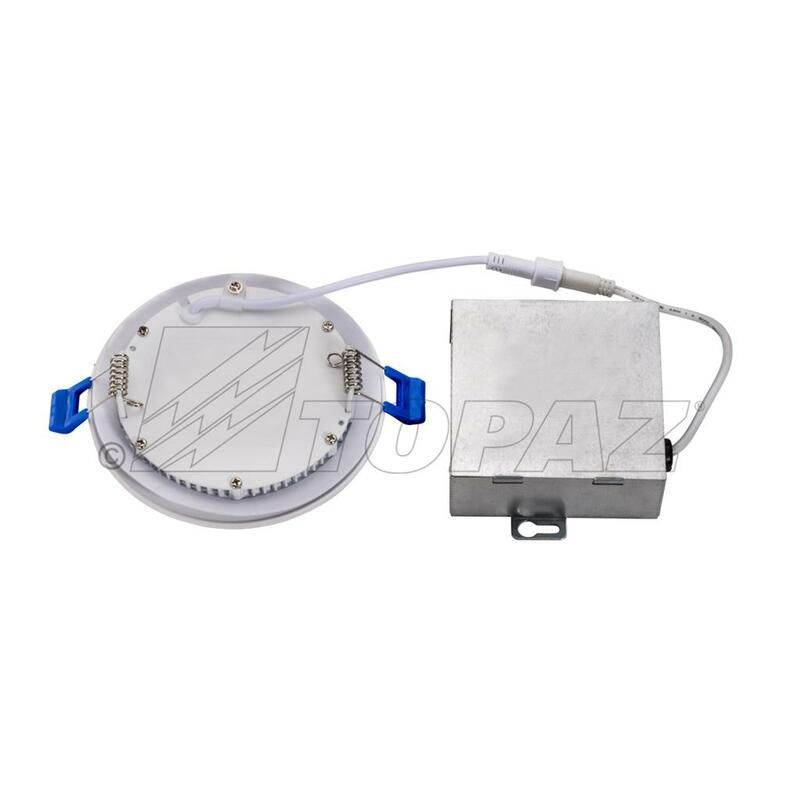 Topaz LED Slim Recessed Downlight fixtures are designed for new or remodel applications and feature a low profile design that facilitates mounting in confined ceiling areas or soffits. 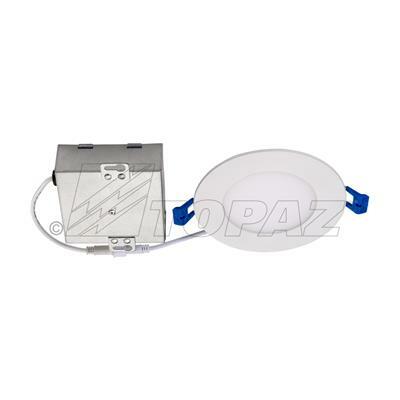 This easy to install slim fixture does not require a separate housing, the recess fixture mounts directly into the ceiling. Simply wire and mount the J-box, connect the low voltage cable to the fixture then secure the fixture into the ceiling with the attached spring clips. 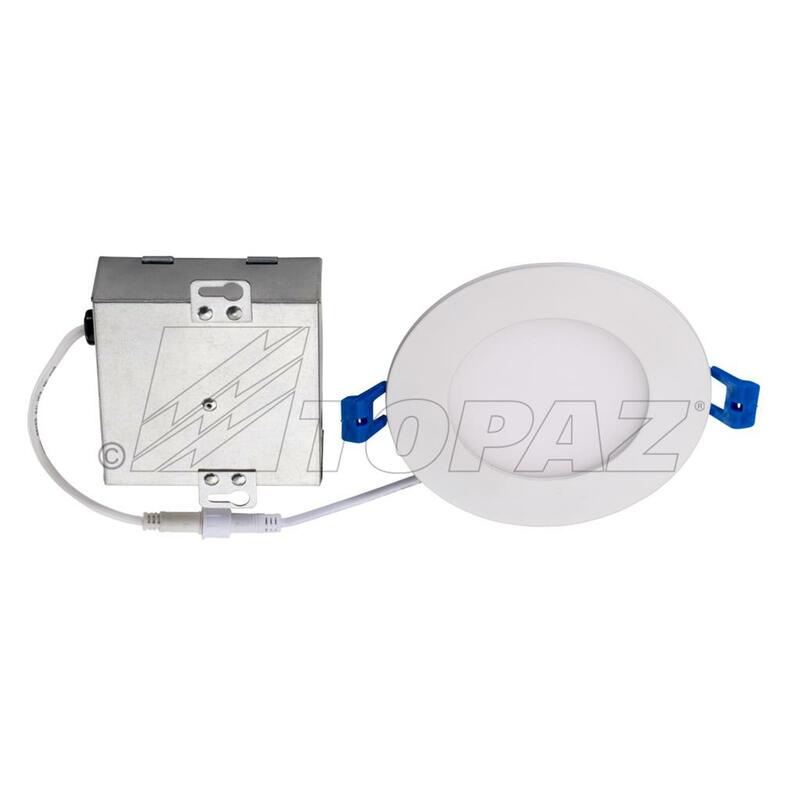 The Topaz LED Slim Recessed Downlight fixture is IC Rated and Damp location rated and is dimmable with leading edge incandescent style or LED dimmers. Available in 4" and 6" sizes in square or round models.